Live an absolute luxury experience in our Boutique Villas Collection. Tambouros Boutique villas without any doubt provide a unique stay. Masada private pool villa is the perfect accommodation for up to 6 persons. Offers 3 bedrooms, 3 bathrooms and amazing sea views. 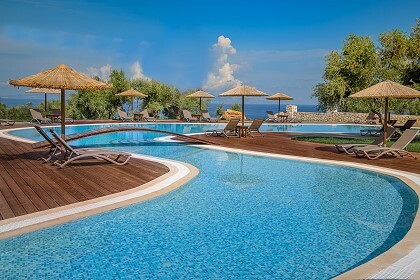 It's location in Vasilikos can promise fine relaxing holidays. 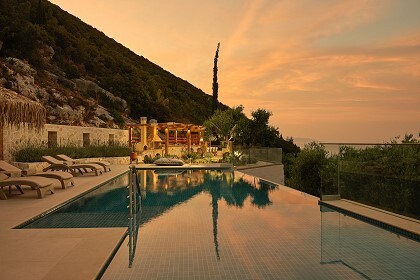 This luxurious new Villa is designed so that each room enjoys the exceptional sea views. The symphony of colors of the sea and the sky changes during the day and comes to its peak at dawn time. In Masada villa you can enjoy unlimited views from every corner. Masada is the first villa of Tambouros Boutique Villas Collection and offers 3 bedrooms and 3 bathrooms. All of the bedrooms feature comfortable double beds and two of them offer en-suite bathrooms. The ground floor, communal bathroom offers Jacuzzi while the other bathrooms feature power shower. 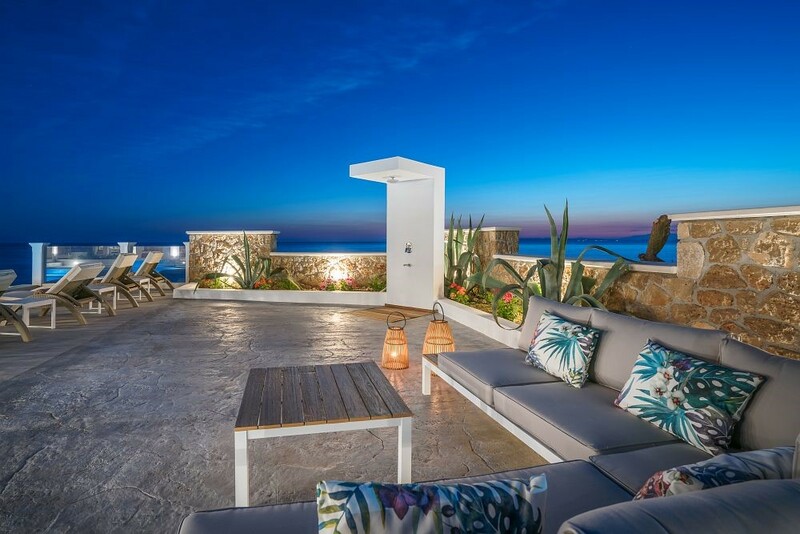 As one enters the villa finds a spacious and modern kitchen, a spacious living room with fireplace and unforgettable views, a bedroom with two single beds convertible into a double and a bathroom with bathtub - Jacuzzi. On the first floor one finds two more bedrooms, both of them with en-suite bathroom with power shower and private balconies with sea view. 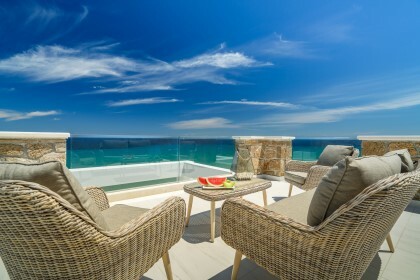 In the outside area of this floor, the house is surrounded by a large balcony, with breathtaking sea view. The sunbeds in the veranda can give hours of relaxation and right next to it there is an outdoor dining area with table and chairs for romantic dinners. 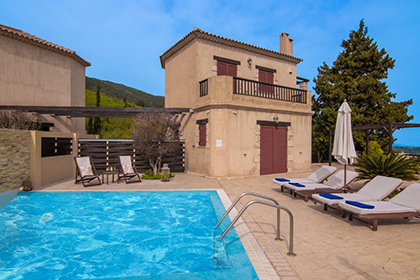 The outdoor area provides as well a stylish private swimming pool with Jacuzzi, BBQ, private parking in the plot and of course stunning views and elegant settings. 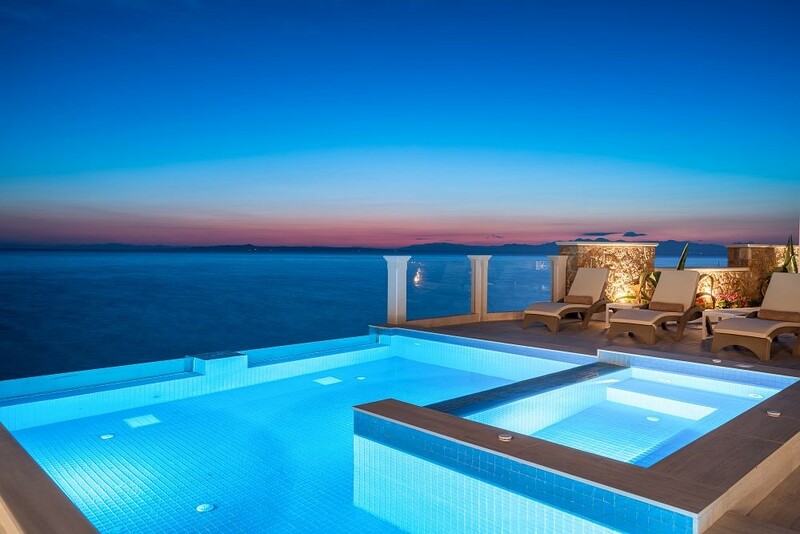 This unique, elegant villas collection is situated in the green area of Vasilikos, in Zakynthos. 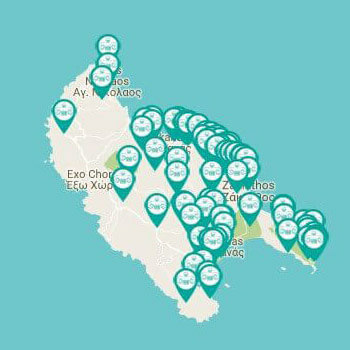 Two of the most well-known beaches of the island, Ιonian Beach and St. Nicholas beach are located in a few distance from the property.The peninsula of Vassilikos offers scenic, breathtaking surroundings and famous beaches of incomparable beauty such as Dafni beach, Gerakas beach and many others. Zakynthos is known as the sunniest island in the Mediterranean and surely is a destination to fall in love with.